A delicious bread for the upcoming week! 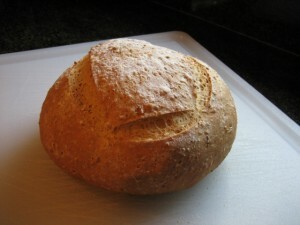 Baker’s notes: I love this bread! 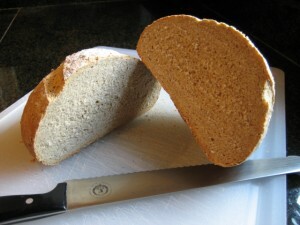 The crust is crunchy, the crumb is tight and textured w/ all the extra grains. I slice the entire boule, seal it in a freezer bag and pop it in the freezer. When I want to toast some up, I just take what I need, reseal the bag and pop it back in the freezer (a great trick my mom showed me to keep bread fresher)!